Is there anything in the world as annoying as waiting in line to get served in a shop when there are a half dozen members of staff tinkering around, doing other jobs? Three separate tills, one person behind them, a swarm of staff folding clothes while you stand there. The precious moments of your life ticking away. No matter how enjoyable your shopping experience is up until that point, all of that pleasure is tossed out of the window by the complete lack of care and attention being shown to you. Do the clothes need to be folded? Probably. Does it ruin the customer’s experience? Definitely. There are ways that these problems can be abated, and the customer experience at least partially improved. 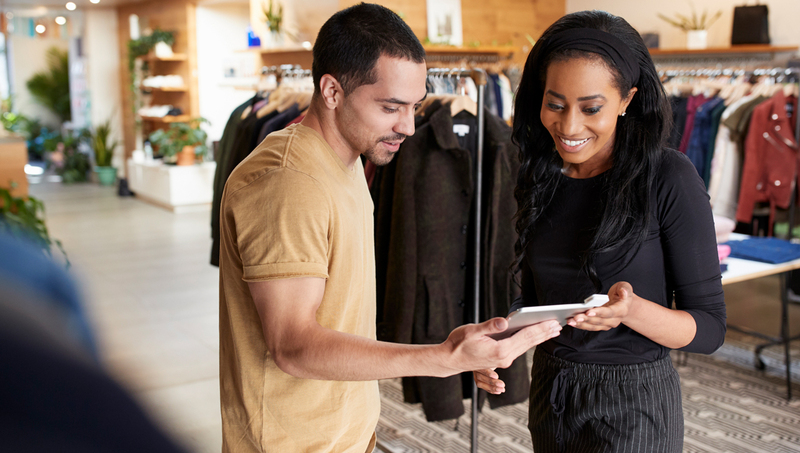 The modern trend towards open-plan shopping means that employees are clearly visible to customers when they are needed, but it also means that they are clearly visible to customers when they also need to be getting on with their other duties. The customer centered approach has trained users to expect the undivided attention of staff, who’s primary duty is assumed to be customer service. In “the olden days,” there were whole sections of the shop where customers did not go, poorly optimized floorspace that wasn’t for selling, but was instead for performing the folding of clothes, the counting of change or other backroom duties. This created many problems of its own, without visibility, the staff were unable to fulfil their customer service duties, and worse yet this didn’t actually solve the problem of there not being enough staff serving. All it served to do was to muddle the customer’s perceptions of what was going on. Instead of being able to see all of the staff choosing not to serve them, they instead had to assume that the shop was simply understaffed. The frustration of a long wait would still be there, but not the feeling of being deliberately ignored. These backroom duties are almost universally low-value activities that take staff away from more important work, and they certainly aren’t limited to the retail environment. Almost every industry has repetitive tasks that are delegated to people vastly overqualified to perform them, and these thankless chores often occupy more of their time than the high-value tasks that they are actually employed to perform. When people talk about plans for automation, it is often accompanied by the fear of job-losses. Back when automation was impacting factory work, this was a valid concern because it was removing the primary duty of those workers, ultimately leaving them unemployed. Now when we talk about automation, we are generally referring to the removal of these low-value, repetitive tasks that are a waste of the employees’ time. With the impediment of folding clothes removed, the staff are suddenly able to serve customers as they come, they can focus on improving their important work and even improve the quality of their performance in their important tasks as a result. When we introduced automation to a phone booking service for a dog grooming service in a major pet services retailer, the regular workflow was no longer interrupted by having to shut everything down to answer the phone. With more free time, groomers were able to establish better rapport with customers, improving the customer experience, increasing loyalty and providing more opportunities to upsell their other products and services. When all of those improvements can be achieved by eliminating one pointless task; why wouldn’t you eliminate it?